Immigration merely does not mean applying for a visa. The process does not end here. While applying for a visa, many important aspects are considered such as the place of work and residence, the profession you are into and so on. An architect immigrating to Canada has to ensure the above and has to qualify under a certain criteria (at times based on the country of origin). For instance, it is simpler if you are an architect from the US to get registered and licensed in Canada compared to others. This is because of the mutual ties between both the countries. http://www.aibc.ca/ – The Architectural Institute of British Columbia (AIBC) is the body to be contacted if you wish to live and work in British Columbia. Click on the above to know more. http://www.aaa.ab.ca/ – The Alberta Association of Architects has been designed as a platform to express and discuss architecture and to maintain the standards of architecture in Alberta. http://www.saskarchitects.com/web/index.shtml – The Saksatchewan Association of Architects works to provide for better leadership, guidance and assistance in the field of architecture for the overall betterment for the Community and its members. http://www.mbarchitects.org/web/index-dyn.shtml – The Manitoba Association of Architects is a self governing body created under The Architects Act. This association is responsible for the practice of architecture as a profession in Manitoba. http://www.oaa.on.ca/ – The Ontario Association of Architects is the authorizing body for the promotion and spreading of knowledge, skills and proficiency related to architecture with respect to the public interest. http://www.oaq.com/ – When it comes to Quebec, one must show his proficiency in French in order to qualify to live and work in Quebec. Click on the above to know more. http://www.aanb.org/ – The Architects Association of New Brunswick is self regulating body with the responsibility of maintaining the standards of architectural services being offered in the province amongst others. http://www.aapei.com/ – The Architects Association of Prince Edward Island is the authorizing body for the practice of architecture in Prince Edward Island. This website is an endeavor to promote public learning and to provide assistance for the professionals. http://nsaa.ns.ca/main.html – The Nova Scotia Association of Architects keeps a record of all the professional architects who are registered under its province to live and work. With this, a disciplinary committee is maintained foreseeing all actions in public interest. http://www.newfoundlandarchitects.com/ – The Newfoundland & Labrador Association of Architects is the leading organization controlling architecture as a profession in the province. To know more, click on the above. http://www.nwtaa.ca/ – The Northwest Territories Association of Architects is the authorizing body for this province. Click above for further information. 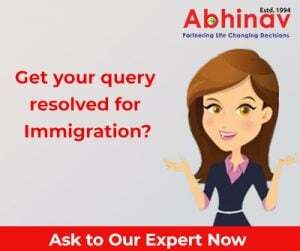 Apart from you own researching and becoming self aware about the various aspects, you must also contact a seasoned Immigration and Visa specialist who can further guide you with the process.